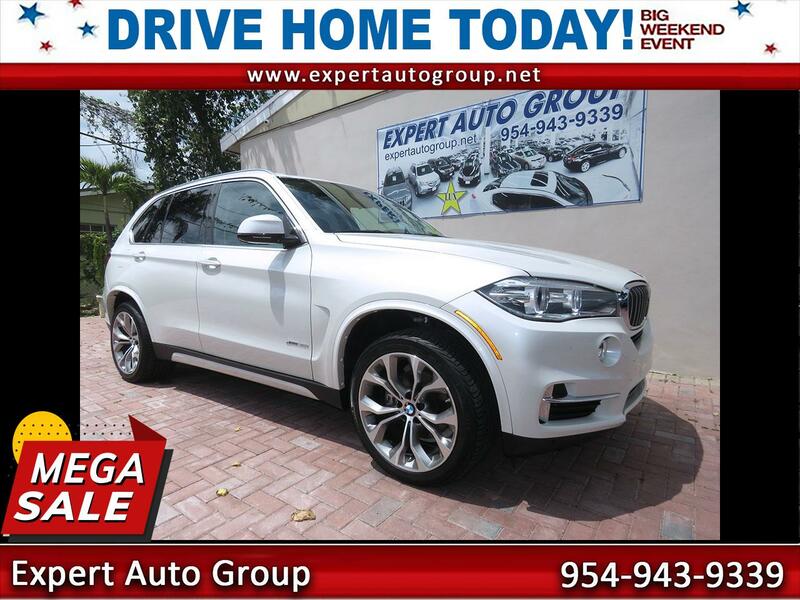 This 2015 BMW X5 xDrive 35i is in outstanding condition, and it runs and drives like a new vehicle. It comes LOADED with comfort, technology and safety equipment – and it looks great, too. This all wheel drive BMW is in excellent condition inside and out. Carfax shows no accident history or any other problems. This X5 is very well equipped with standard equipment, plus a long list of options including the Premium Package, Mocha Interior Design Package, Driver Assistance Plus Package, Lighting Package, Harman/Kardon audio, surround-view camera, and optional 20” wheels. This all wheel drive BMW is powered by a 300hp 3.0-liter I6 mated to an 8 speed automatic transmission with manual mode. Together with the all wheel drive system, you can get where you need to go regardless of weather or road conditions. This is a VERY well equipped X5 in fantastic condition. Come by for a test drive if you can or call us if you have any questions.